“We knew that a mission to Pluto would bring some surprises, and now — 10 days after closest approach — we can say that our expectation has been more than surpassed,” said John Grunsfeld, NASA’s associate administrator for the Science Mission Directorate. “With flowing ices, exotic surface chemistry, mountain ranges, and vast haze, Pluto is showing a diversity of planetary geology that is truly thrilling." Models suggest the hazes form when ultraviolet sunlight breaks up methane gas particles — a simple hydrocarbon in Pluto’s atmosphere. 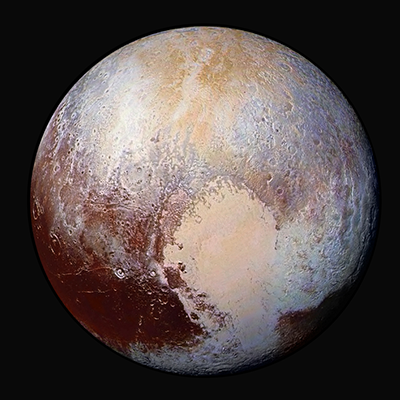 The breakdown of methane triggers the buildup of more complex hydrocarbon gases, such as ethylene and acetylene, which also were discovered in Pluto’s atmosphere by New Horizons. As these hydrocarbons fall to the lower, colder parts of the atmosphere, they condense into ice particles that create the hazes. 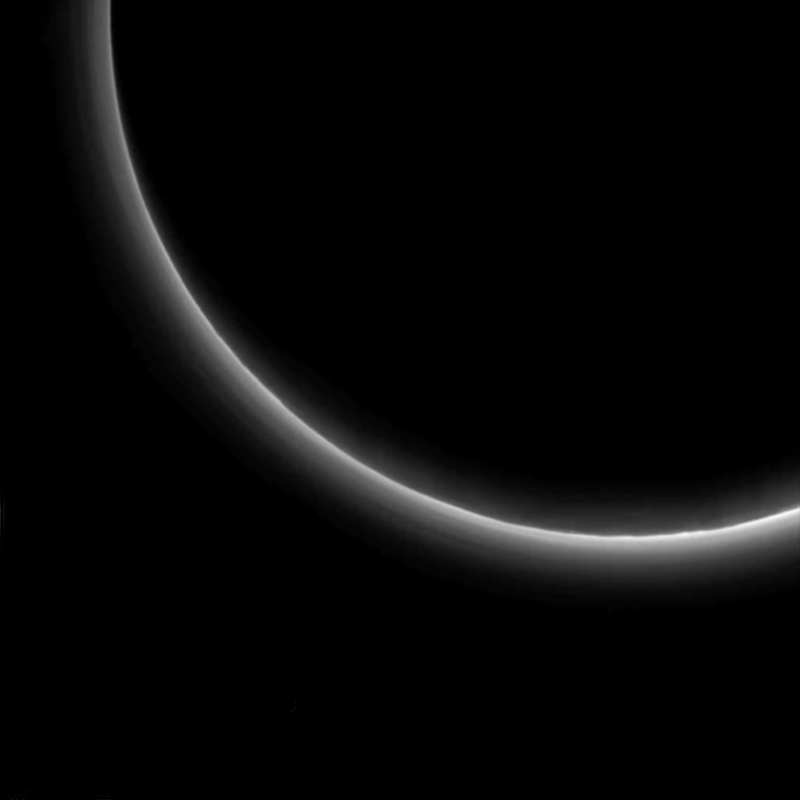 Ultraviolet sunlight chemically converts hazes into tholins, the dark hydrocarbons that color Pluto’s surface. View the graphics & videos from the July 24 press conference. The Johns Hopkins University Applied Physics Laboratory in Laurel, Maryland, designed, built, and operates the New Horizons spacecraft, and manages the mission for NASA's Science Mission Directorate. SwRI, based in San Antonio, leads the science team, payload operations and encounter science planning. New Horizons is part of the New Frontiers Program managed by NASA's Marshall Space Flight Center in Huntsville, Alabama.